The court’s leading liberal fractured three ribs in the incident. 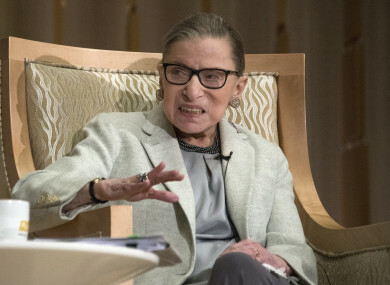 THE US SUPREME Court says 85-year-old Justice Ruth Bader Ginsburg fractured three ribs in a fall in her office at the court and is in the hospital. The court says the justice went to George Washington University Hospital in Washington earlier today after experiencing discomfort overnight. The court says the fall occurred yesterday evening. Email “US Supreme Court Justice Ruth Bader Ginsberg hospitalised after fall in office”. Feedback on “US Supreme Court Justice Ruth Bader Ginsberg hospitalised after fall in office”.